Termites are a frustrating and frightening home pest. While they may not be poisonous or affect your life on a daily basis, they do drastically eat away at your home’s value in swarms, and may cause serious damage to the wood around your home in a way that may affect property value. Last week, the Professional Pest Management Alliance (PPMA) educated the country with Termite Awareness week. Their goal was to educate the public about property threats posed by termites. 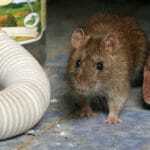 Annually, this voracious pest generates $7 billion in home structural home repairs due to damage. Because termites are hidden, they often go undetected. In fact, it’s often a good idea to ask a termite control expert to come and evaluate your home for termites – especially if it’s been a long time, or you’re about to put your home on the market. Termites can often do an incredible amount of damage before you notice them in your home. Without a trained expert, it may be months before you learn of any termite infestation. 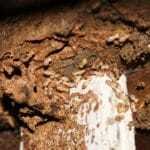 Mud Tubes – The most common warning sign of termites is their distinctive mud tubes. These tubes may be found anywhere on or near your building, and look like long, thin mounds of mud. On trees, they may blend in enough to look like a part of the tree trunk, but they are raised enough that they are very noticeable. If you cut open on of these mounds, you’ll often see termites running up and down the path. Discarded Wings – You should also keep an eye out for discarded wings. 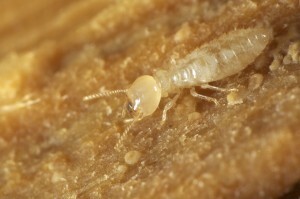 During certain times of the year, termites flock to new nests. After they’ve found the right location, their wings are discarded. Homeowners may find numerous discarded pairs of wings both inside and outside of your home. Look for wings on spider webs as well, and inspect the outside of your home where you believe termites may reside. Paint/Wood Distortion – Areas that have been attacked by termites often change shape. 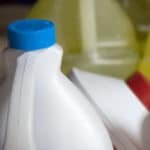 You may find that your paint or wood appears hollow or indented. Tapping on it should also reveal whether or not that wood is weaker than normal. Found early, these warning signs can help you prevent further damage to your home and ensure that your property is kept safe from termites. 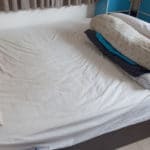 But inspects are best left in the hands of experts, who know not only how to spot termites, but also where to look for them and how to remove them. 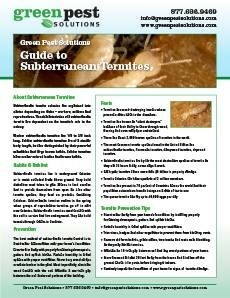 If you live in the Pennsylvania tri-state area and need a termite control inspector to evaluate your home for termites, make sure you contact Green Pest Solutions today. We’ll provide you with a free inspection and $100 of your first termite control service. Contact us today to find out more.